Here we have an installed projector enclosure in a new tourist attraction in Cheshire. The museum has 4 enclosures; 2 mounted as in the image, and 2 projecting upwards from the ground. The result, is an exciting and amazing audio visual show, educating children and adults alike! 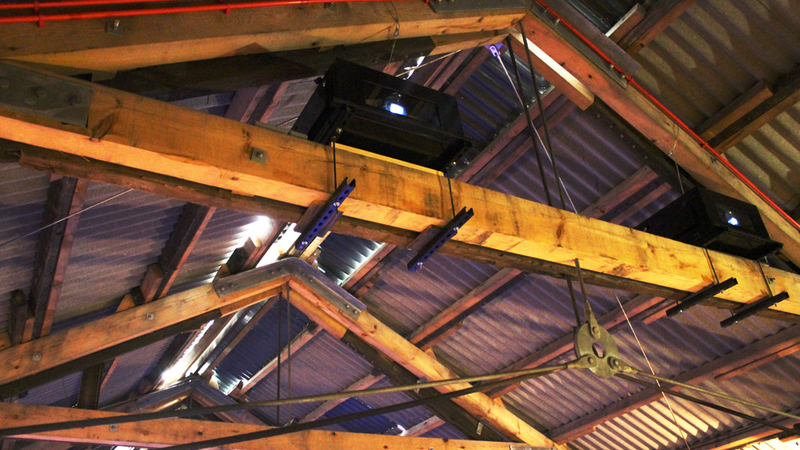 The projectors are totally secure, as well as being protected from the very cold weather. Click for VIZBOX technical information and email us for a spec sheet.